3. Avoid having everything match – you can have different bedside tables, different lamps and the bed doesn’t have to be in the same style or material as the furniture. Variety is a good thing, what’s important is getting the scale and tone right so that the room looks like it goes together! 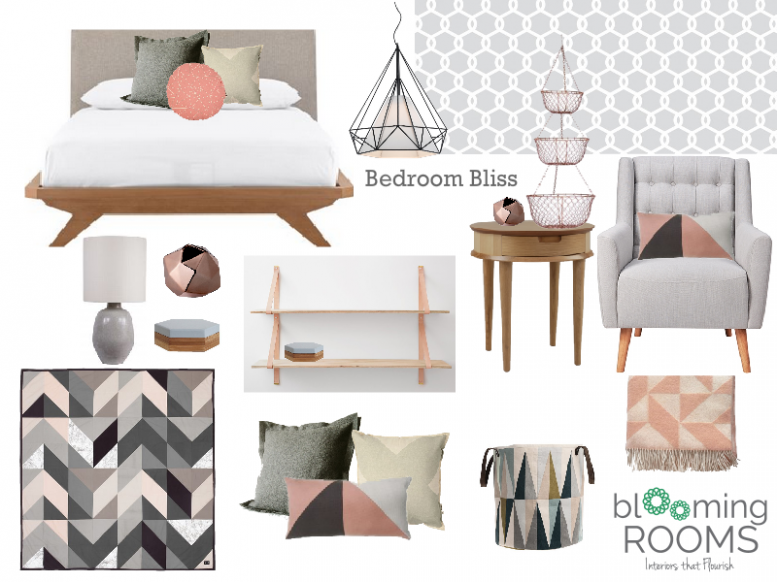 In need of a little bedroom inspiration – check out our March Mood Board of the Month or click here for More Bedroom Inspiration. If you have a specific question or would like something a little more customised – drop us a line – I’d love to hear from you!